All the free food, drink, prizes, and happiness is no accident. It's provided entirely by our extremely generous sponsors. 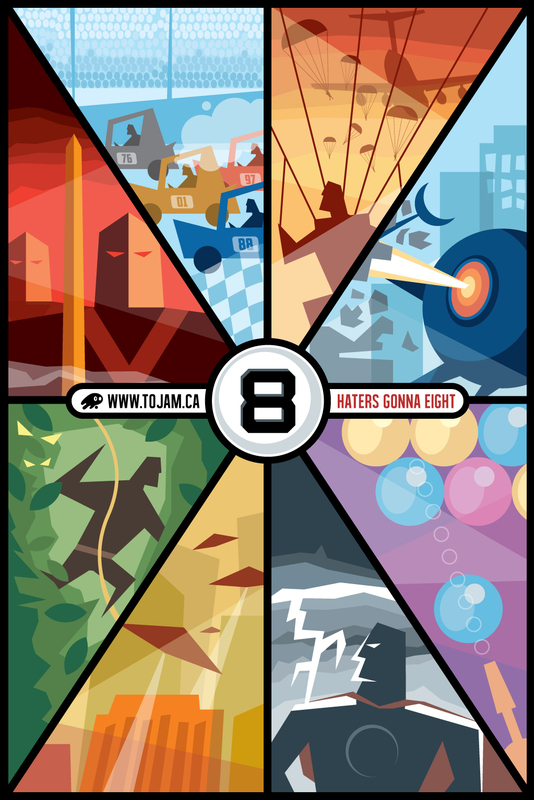 Without them, TOJam would be absolutely hideous. Blackberry is a runaway Canadian success story, and we're extremely proud to have them as our gold sponsor. The new Blackberry Z10 & Q10 (keyboard!) are amazing, and the games look stunning. Develop using C++/native, HTML5, AIR, Unity!! !, Marmalade, Shiva3D, and Ogre3D. BlackBerry is constantly looking for interesting games and developers to work with to show off why gaming is more fun on BlackBerry! Get Set Games recently released the stellar Mega Run, then partnered with Disney to create this charming variation. Mega Jump, released 2 years ago, has over 22 million players. I cannot deal with that. 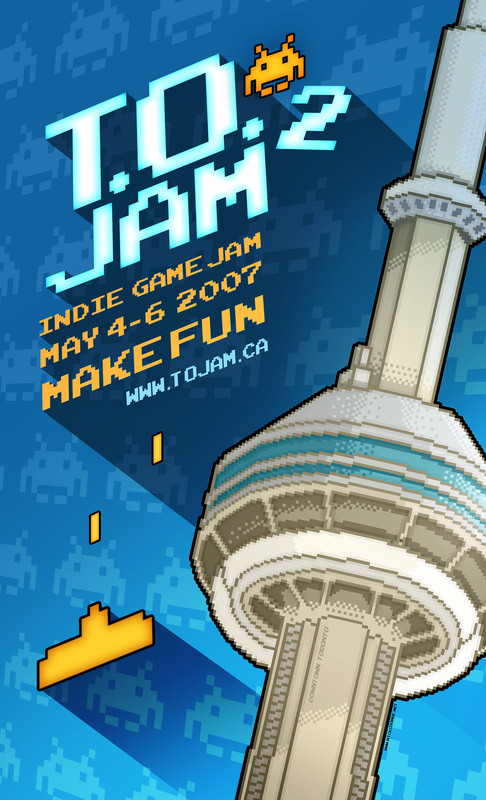 This is the 4th time Get Set Games has sponsored TOJam, and their unwavering unconditional help has saved us muchos stress. DrinkBox Studios created the IGF nominated, critically acclaimed, pulverising platformer Guacamelee. It's also got multiplayer, chickens and a sense of humour - what more do you need?! By no coincidence, they earlier created one of my favourite PS3 games ever - Mutant Blob Attacks - now on Steam and Vita. When DrinkBox offered to sponsor us this year, we blushed like schoolgirls. 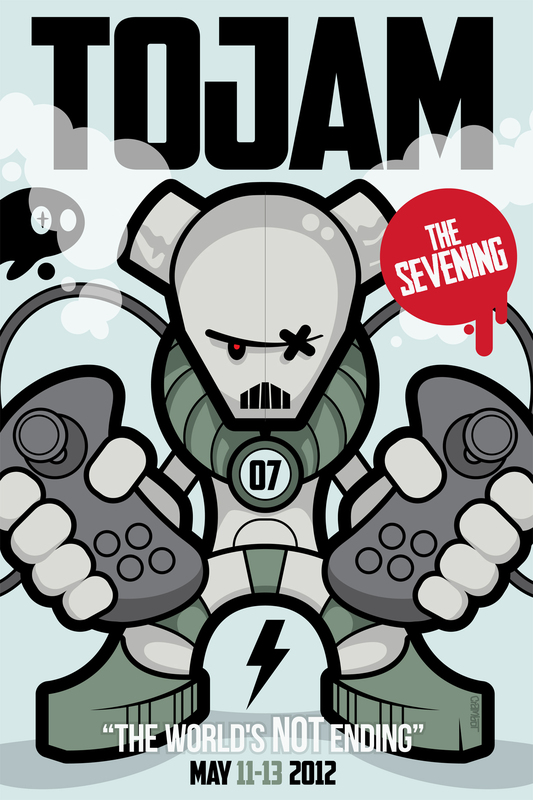 Uken Games have created a wide variety of games across an impressive array of platforms. They are masters of HTML5, scaleable back-ends, and nurturing a community. 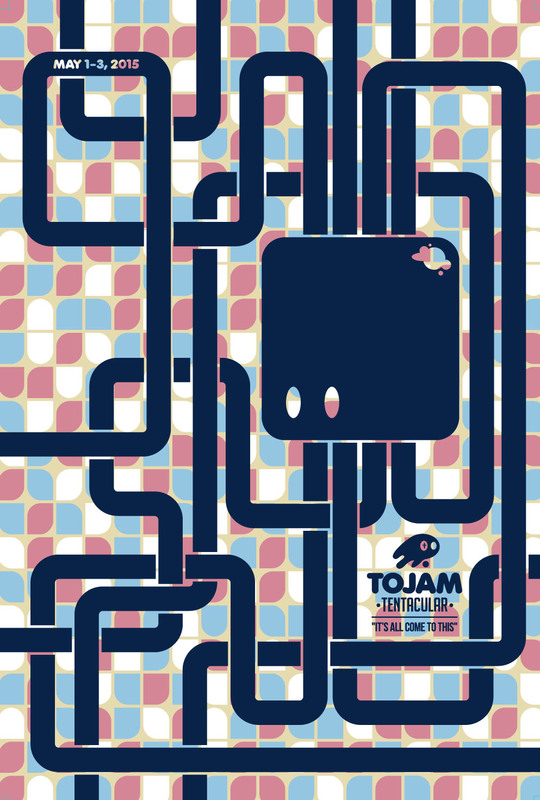 They are always seeking talented game developers, which is the main reason they've sponsored TOJam 2 years running! Email your resume to jobs@uken.com, and keep an eye open for jamming Uken employees. Metanet Software was making indie games before anyone knew what that was. They're wrapping up the final free web version of N 2.0 - a mega improved version of the orignal Flash N. Once complete, they will embark on the final, perfect version of N - N++. Every lesson they've ever learned from previous versions will inform this ultra refined, uncompromising vision. You will never meet more passionate developers or nicer people. They've supported us since the beginning of time, and finer friends you will never have. Good View Chinese Restaurant has provided an amazing buffet for the last 4 years. The quality and variety of food (massive fruit trays!) 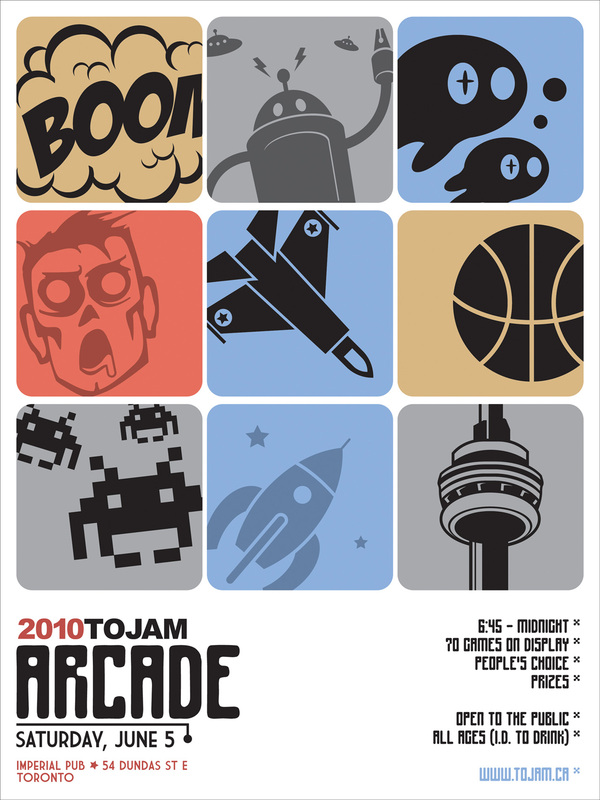 is astounding, and a TOJam highlight every year. Huge thanks to owners Carlos & Ginny who always manage to deliver our massive-yet-insanely-delicious order with a smile. If you need an event catered, look no further. à la Carte Kitchen has been providing delicate, delicous pastries on Sunday morning for many years. They are a premier events caterer providing a wide variety of services, they feed us because they like the event. Should your needs exceed amazing Chinese, these are the people to talk to. 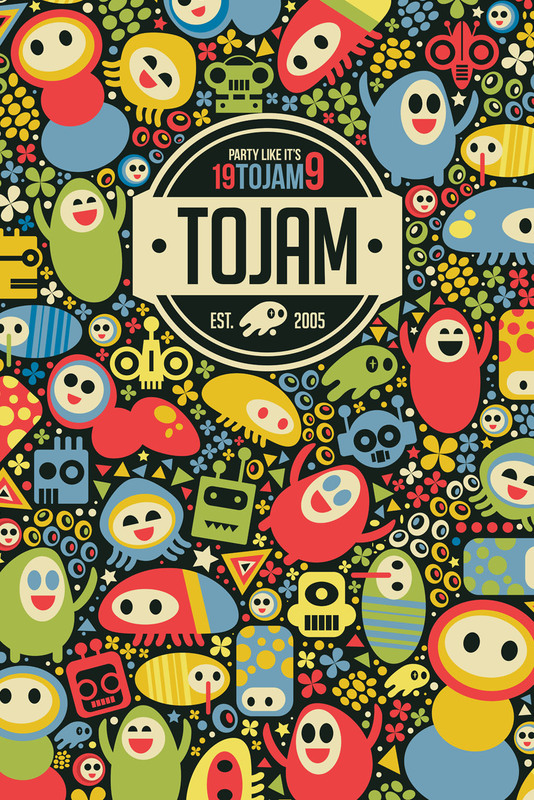 Special thanks to TOJam organzier Tessa (who works for these catering & food gods) for connecting us to those sweet, sweet, morsels of heaven.